This iClever BoostStrip Series IC-BS03 Power Strip turns one 3-prong outlet into 6 AC outlets with surge protection and 6 USB ports with SmartID technology. Designed with AC power switch to control performance of AC outlets, it ¡s easy to cut power for a complete shutdown when not in use to conserve energy. 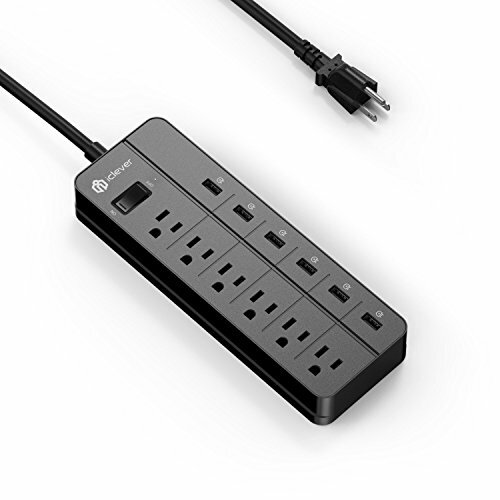 Ideal for home or office, this power strip gives ultimate convenience and protection for computer electronics, home entertainment systems, digital USB devices and more.